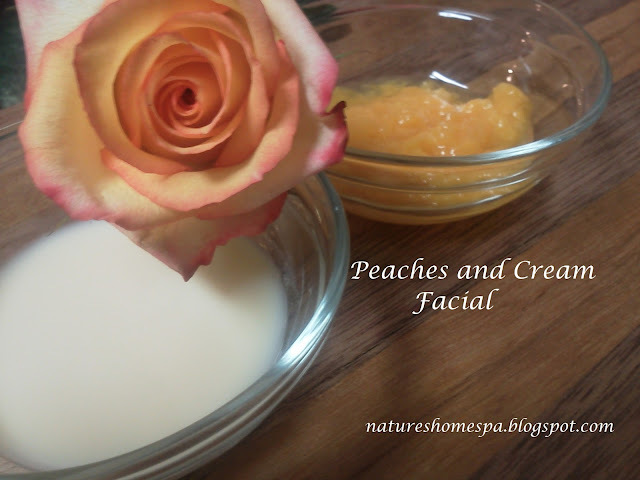 the edition of this Peaches and Cream facial to your home spa recipes. UV rays that damage it with free radicals. like this naturally made fresh fruit facial. 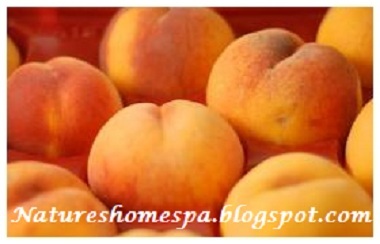 Benefiting the general appearance of the skin, this facial will leave you feeling fresh as a peach. No pun intended. Now for the Cream part..... combining peaches and cream is not a new beauty secret by any means. as a skin lightener, or brightener, noticeably leaving the countenance with healthy vibrant glow. RECIPE: natural goodness, naturally exquisite! Choice of: cream, yogurt, sour cream, buttermilk, kefir, milk. 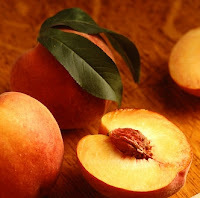 Simply mash peaches as smooth as possible, add milk product a spoon at a time to desired consistency. I prefer sour cream or yogurt as it adheres to the face better! This mixture will be a bit runny with chunks in it. If acne or pimples are a concern, add a bit of lemon juice to your facial. You will be astounded at how soft and smooth and fresh your face feels after this natural facial. I was. This sounds great Anna! Will have to try it! Nice idea dear Anna, looks great. This idea sound so refreshing after a hard day at work.....Thank you for sharing with the Clever Chicks Blog Hop this week; I hope you’ll join us again!